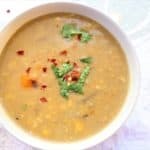 Grilled Corn Chowder. Vegan, gluten free and dairy free. 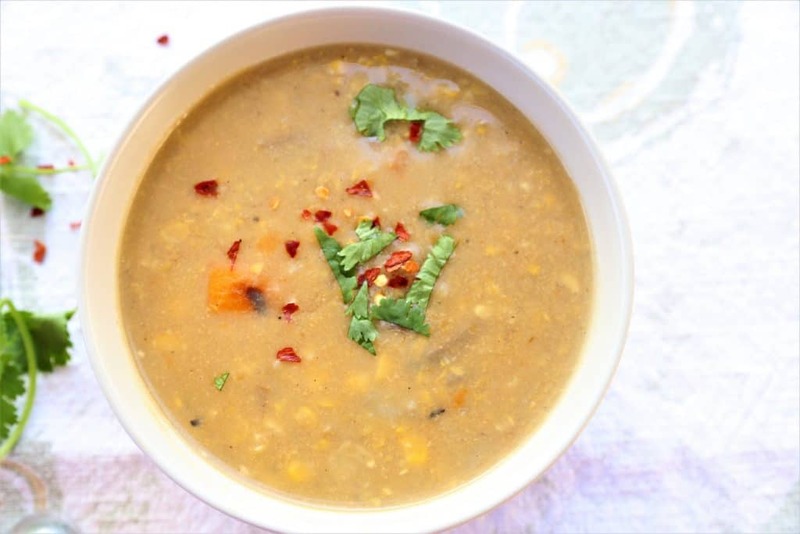 Grilled Corn Chowder. 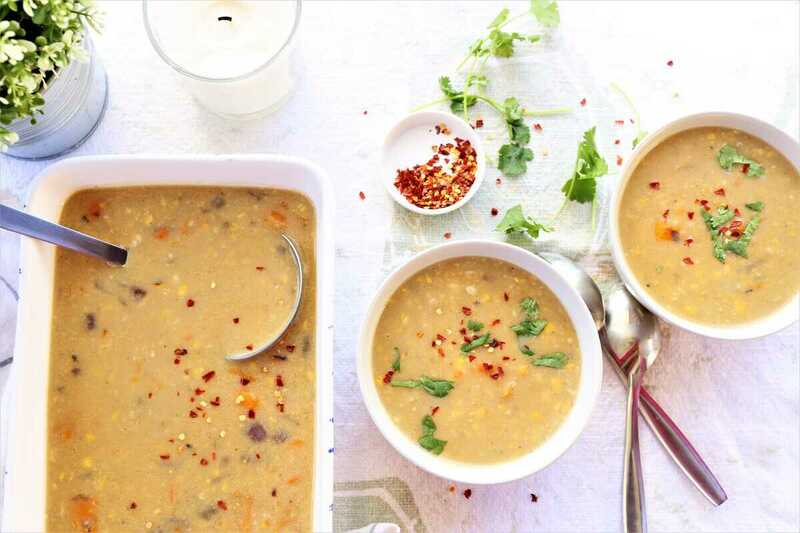 It is still winter in most of the country, so the day is perfect for a hot bowl of corn chowder. 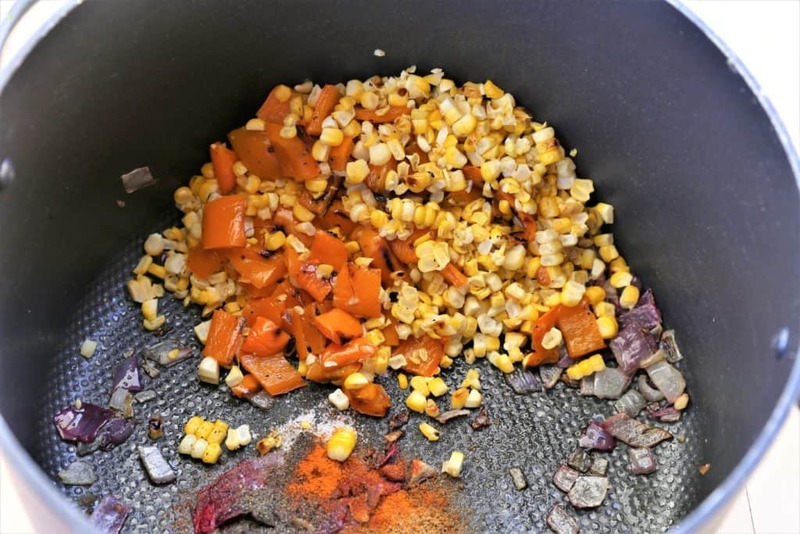 Grilling the corn, garlic and pepper before making the chowder will give you a delicious flavor that is so different from other corn chowder that you have tasted. The potatoes make the chowder thick, creamy and hearty, and will fill you up completely. 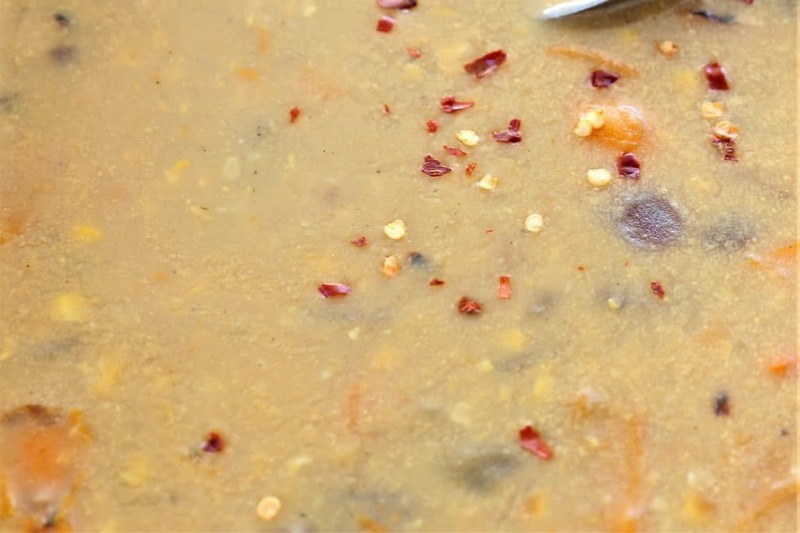 This soup is vegan, gluten free and dairy free. 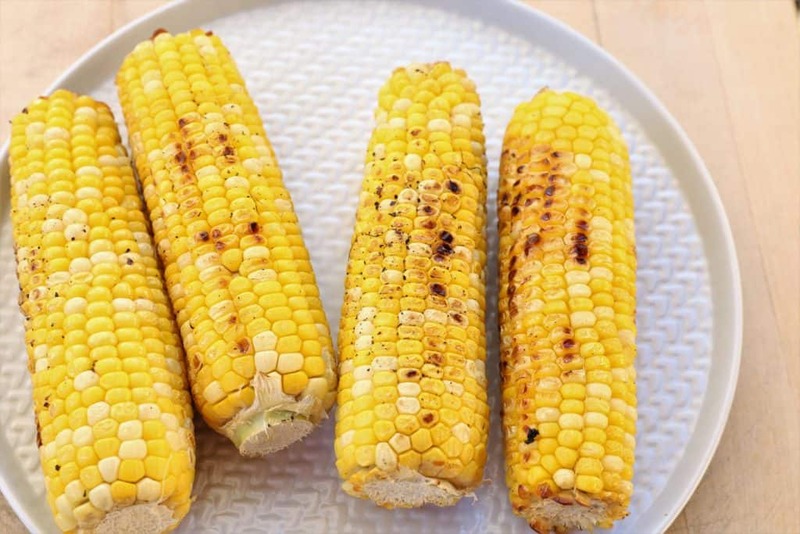 Grilling the corn makes this grilled corn chowder incredibly flavorful and delicious. Vegan, gluten free, dairy free. 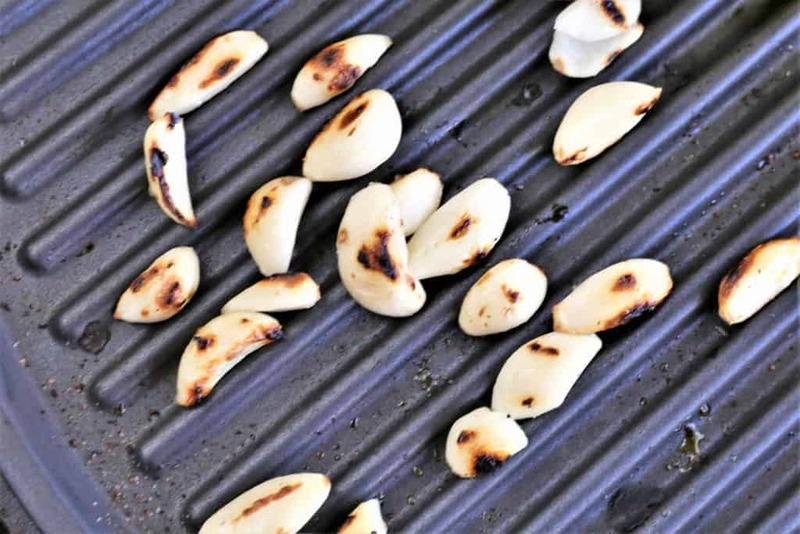 Brush olive oil, salt and pepper on the ears of corn, red pepper and garlic cloves on baking sheet. Grill or bake in the oven for 30 minutes. 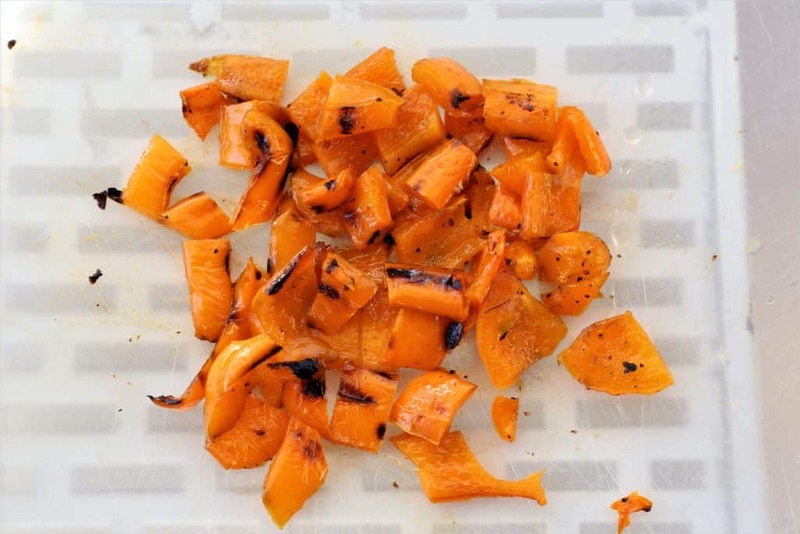 Remove vegetables from oven. Cool. 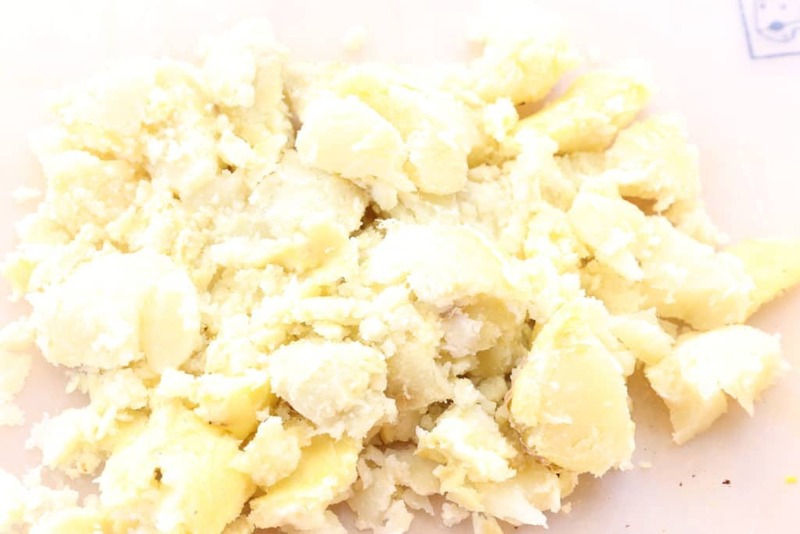 Cook potatoes 10-12 minutes in microwave oven. When cool, scoop potato out of skin. Saute chopped onion in olive oil in large soup pot on medium heat. Add salt, pepper and spices. Saute. Add corn, garlic, pepper, milk and vegetable broth. In separate cup, mix flour and water until you have smooth paste. Serve. Sprinkle red pepper flakes and fresh cilantro on chowder. George Foreman Indoor Outdoor Grill. Check out my complete review of this grill here, and take a look at all of the recipes that I have been grilling and why it makes your grilling indoors or outdoors, so much easier. This post contains affiliate links.